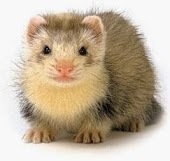 How Can I Go Aunt Kerry's Pet Stop? 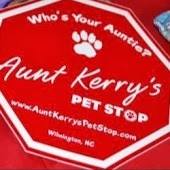 Where is Aunt Kerry's Pet Stop in Wilmington on the Map? This is the BEST place to get food for your family pets!!!! The price is right and the advice is priceless. Everyone who works here is so helpful and will assist you in every way. I am sorry it took me so long to find this place. The prices beat the "big box stores"!!! Having just moved to the area, I was looking for a good pet shop - and I found it. Not only were they great at helping me find the ideal dog food, they were able to provide me with samples to make sure it was something he liked. Very friendly. Highly recommended. I was SO very happy to have found this shop!! Because of my background in natural health, I try to provide the same for my cat, knowing it's better for him. I was so impressed with the level of knowledge of the staff! When I referred to feeding my cat "cooling, or neutral" foods (according to Chinese Medicine), because of his itchy skin, they didn't look at me with a blank stare, but knew what I was talking about!! :) It's nice to have a place like this, where they are "on the same page" as you with their knowledge. The staff are always very friendly & helpful. They defiantly get "word of mouth" advertising with me! 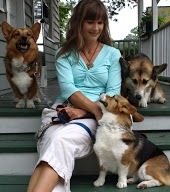 I found Aunt Kerry's while researching high quality, grain-free dog foods online. I had narrowed down my choices to three options and Aunt Kerry's carries all three. The staff was friendly and helpful. I thought I had made my choice but then changed my mind. The staff wasn't at all frustrated with me but instead worked with me to make sure that I was happy with my decision. Even though I live nearly 60 miles from the shop, I will continue to shop at Aunt Kerry's.